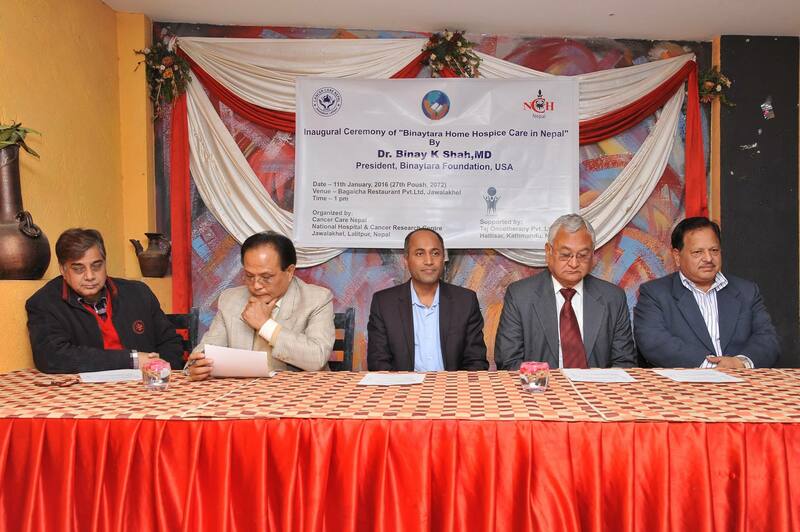 The inauguration of the home hospice program was held in Nepal. Photo courtesy: Binaytara Foundation. Many talented and compassionate people shake their heads when faced with suffering happening around the globe. Others take up the gauntlet and see where their passions will take them. Cancer expert and humanitarian, Dr. Binay Shah, reaches out to the world from his small Barkley Village office. 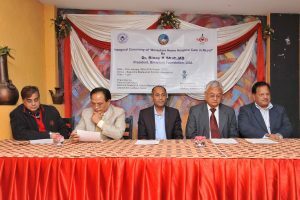 While a naysayer would call Dr. Shah’s mammoth project to bring hospice care to terminally ill patients in Nepal and soon, India, quixotic, Dr. Shah has already reached some of his goals. His words, “Countries have manmade boundaries, humanity does not,” sum up Dr. Shah’s daily philosophy. Dr. Binay Shah fulfills a life mission from his Barkley Village office. Photo credit: Patricia Herlevi. His mission began as a child when he felt compassion for people around him suffering from illness. “I grew up in Nepal where I saw people dying from preventable and treatable diseases all the time. Being a doctor was not really in my plan. My goal was to study biochemistry and find treatment to diseases that were incurable. I took the medical school entrance exam because of my father’s insistence. Dr. Shah also meets with patients in Ujjain, India. Photo courtesy: Binaytara Foundation. Dr. Shah’s day job is as an Oncologist/Hematologist at the Peace Health United General Hospital in Sedro Woolley. Given the busy schedule of a cancer specialist in the Pacific Northwest, it’s easy to wonder where Dr. Shah finds the time to lead the Binaytara Foundation. 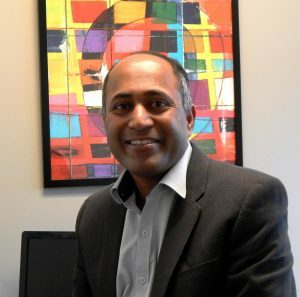 His work through the foundation includes partnering with the government of India to create hospices, organizing on-going cancer care summits in Bellingham, and composing cancer care conferences with big-name experts from the field of cancer presenting. 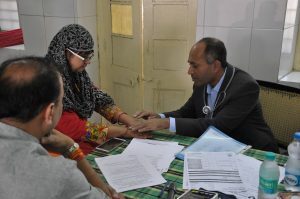 Dr. Binay Shah sees patients in India for a variety of ailments. Photo courtesy: Binaytara Foundation. At his foundation office in Barkley Village, Dr. Shah’s eyes lit up when he mentioned the collaboration with the Indian Government to bring a home hospice program to Madhya Pradesh, India. This project will serve 73 million people in the Indian state. The foundation has already brought hospice care to Nepal and transformed the lives of 70 patients and their families at the cost of $25 a day. And, locally, Dr. Shah and the Binaytara Foundation have set a mission to ease the suffering of local cancer patients. 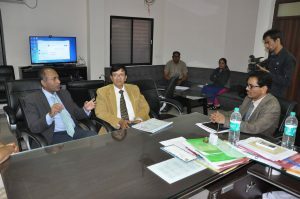 Dr. Shah meets with physicians in India regarding the Home Hospice Care program for Madhya Pradesh, India. Photo courtesy: Binaytara Foundation. It’s not surprising that Dr. Shah cites a Catholic saint who also worked tirelessly to ease suffering among underserved populations as his inspiration. “Mother Teresa’s work inspired me to help others. But my everyday inspiration comes from ordinary people who do extra-ordinary things. Each one of us is making a difference in someone else’s life. Many of us don’t even realize that. Every day I meet people from various backgrounds, some of them going through their toughest battles in life. It amazes me to see how inspiring and unique each person’s life stories are and how incredibly positive some of them are despite their hardships. These people inspire me to do more for humankind,” confided Dr. Shah.